Georgia's Beer Wench (since 1995) discusses craft beer travel, beer reviews, food/beer pairings and more. This article was published originally in South Africa's On Tap craft beer magazine. Three and a half years ago, on a bucket list trip to South Africa with my husband, we found craft beer… good craft beer. 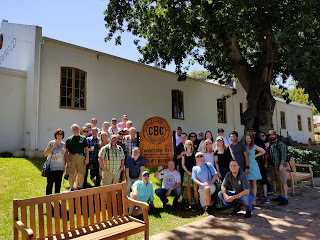 Recently, we brought thirty-two beer travelers specifically to enjoy the exploding craft beer scene around Cape Town. 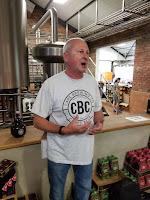 The most popular question that I’ve been asked since the trip is “How is the craft beer scene in South Africa?” After much reflection, I have an answer. I started writing about craft beer not long after I started drinking it in the early 1990s. I fell in love with beer that was bursting with flavor and came to appreciate a plethora of styles, but I live in Georgia, part of the deep south of the United States, and the beer scene here took off slowly. We would travel to other states to find good beer and explore different styles. 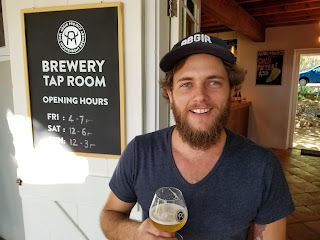 The craft beer scene in Cape Town and the rest of South Africa reminds me of those early years and the beginning of our current explosion of breweries and brewpubs in the USA over the last ten years. What makes up some of these similarities? Take a population hooked on light, fizzy lagers, rooted for decades in tradition, and living in a hot and humid climate, and finding a way to market a 9.5% ABV Russian Imperial Stout can prove daunting. Add into the mix a group of passionate brewers, brewery owners, beer lovers, and foodies; and you get the start of a craft beer revolution. Brew it, and they will try it - eventually. Most of the breweries we’ve visited in South Africa make a light lager as a concession to the majority of the population. Along with more adventurous styles, many of our American breweries have done the same but are slowly learning that they have to brew the flavorful styles that they want to drink, and then educate the masses in a way that encourages them to try these new beers. Give the people the same old bland beers, and they will never change their palates. Brew the amazing beer that you want, and people will become curious about what is so special about it. Michigan-based Founders Brewing Company almost went under because they were brewing beer to please the masses - beers they thought would sell. Almost out of business, Founders decided to go out with a bang and brew the creative, flavorful cutting-edge beers they loved to drink. Guess what? They are currently one of the most successful craft breweries in the United States. I saw pockets of this rebellious nature while visiting breweries around Cape Town. We tasted a saison brewed with a mix of sorghum and barley, a brilliant imperial IPA, a delicate pilsner with the perfect mix of hops, and a wild fermented ale brewed with artistic aplomb, just to name a few. With all of the brewers and staff that we met, we were welcomed with open arms and open taps. These people wanted to show off their craftsmanship and receive feedback on their labors of love. This gives me hope that the next time I visit South Africa, I will have many more wonderful beers to try. This being said, we did have some mediocre beers and beers with off flavors. Some of our U.S. breweries that started in the 1990s are no longer with us because their beer just was not of good quality. Also, some brewery owners could not manage the business end of brewing. Some, thankfully, kept trying. They tweaked recipes, assembled tasting panels for feedback, and even worked together with other breweries to improve their beers and find and audience. We witnessed some collaborating in South Africa, with different breweries having conversations, sharing ideas, and pulling together. For the most part, I feel that the craft beer landscape in the U.S. is a cooperative community. There are always outliers and those who do not play well with others, but if multiple craft breweries share the same mission to save beer drinkers from bland beer, working together seems the best way to go. Using local and native ingredients in the brewing process stands out as one of my favorite things from South Africa. 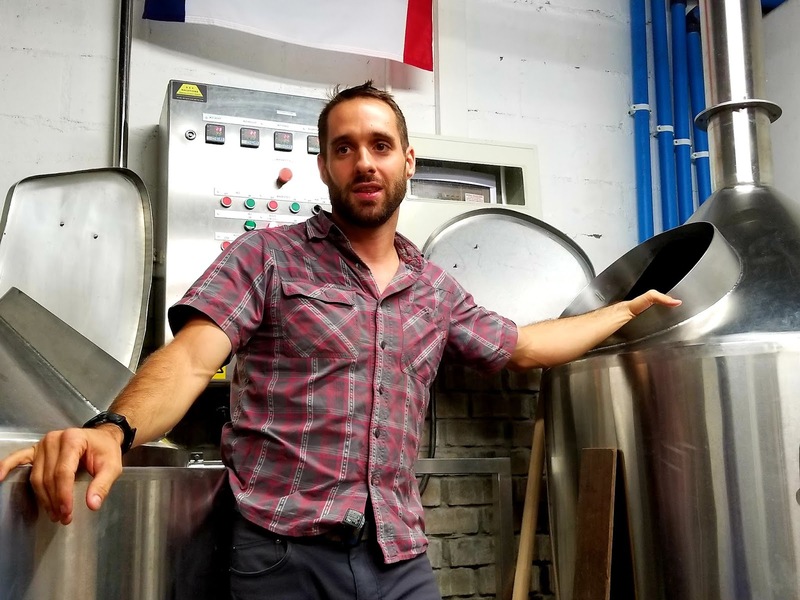 Although many of the brewers are working with familiar styles such as American-style IPAs and German-inspired wheat beers, I loved the creative beers that incorporated native hops, grapes, or herbs. I’m not knocking traditional styles at all, but I feel that playing with native ingredients can be fun and innovative. It seems that there are quite a few specialty cocktail places around Cape Town that infuse herbs and other botanicals into their mixes. If you are looking to expand the craft beer market, look to what is popular - especially when trying to entice novice or non-beer drinkers. I wish I had space here to talk specifically about each brewery we visited, because they all offered something special, and I hope that each of them finds their way. 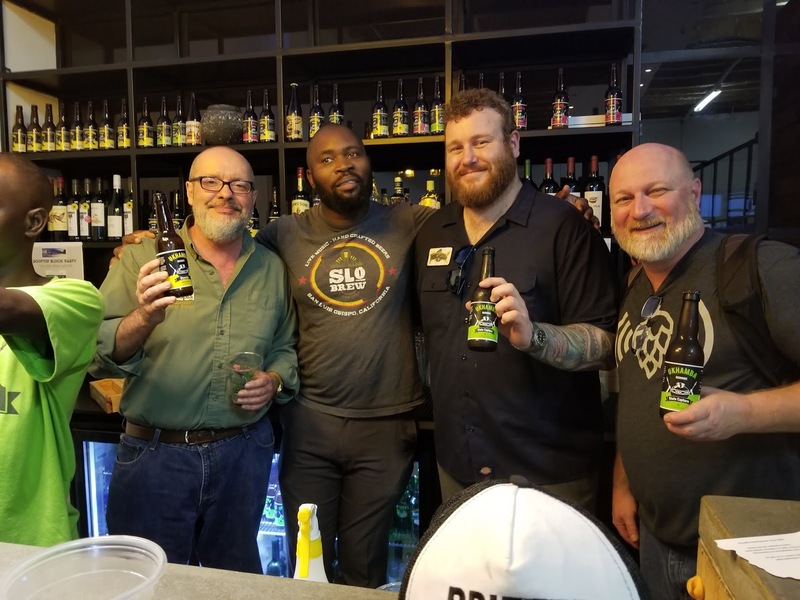 In every market, brewers must figure out what works for their specific audience, but I would challenge the craft brewers of South Africa to take chances, have fun, and brew what they want to drink. 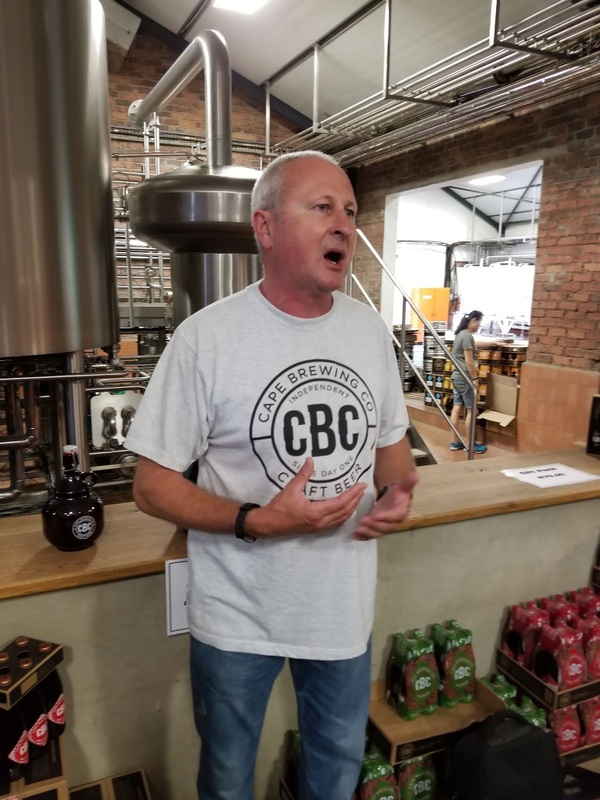 I also challenge the traditional beer drinkers and non-beer drinkers of South Africa to venture outside their comfort zones and try the local craft breweries. They might be surprised to find some new favorite brews. When I first starting writing about beer, our entire state of Georgia had maybe five breweries. We are now home to around 40 craft breweries, with several more in the works. It may take time, but craft beer’s appeal tends to eventually win people over. Life is short. Eat well and drink good beer. Kerri Allen is a Georgia beer writer, craft beer traveler, and judge at the Great American Beer Festival. Her beer blog can be found at www.BeerWench.info. All photos and content are property of Beer Wench GA. Email: BeerWench(at)ClassicCityBrew.com. Picture Window theme. Theme images by peepo. Powered by Blogger.